8a.pl is a company seated in Gliwice. One of the few on the market specializing in sales of professional climbing and hiking equipment. Its offer includes high-quality products to ensure safety and comfort of use to its customers. 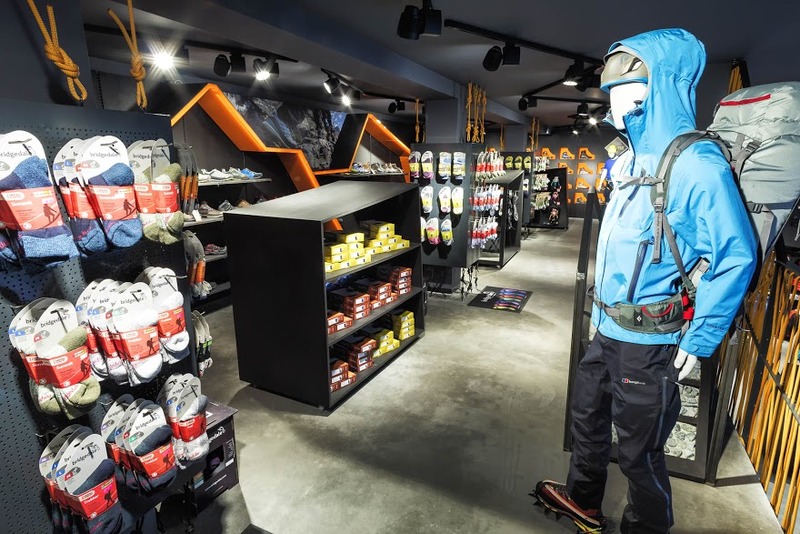 The store offer comprises products connected with broadly-taken outdoor activities – trekking sticks, shoes, tents as well as accessories and books. 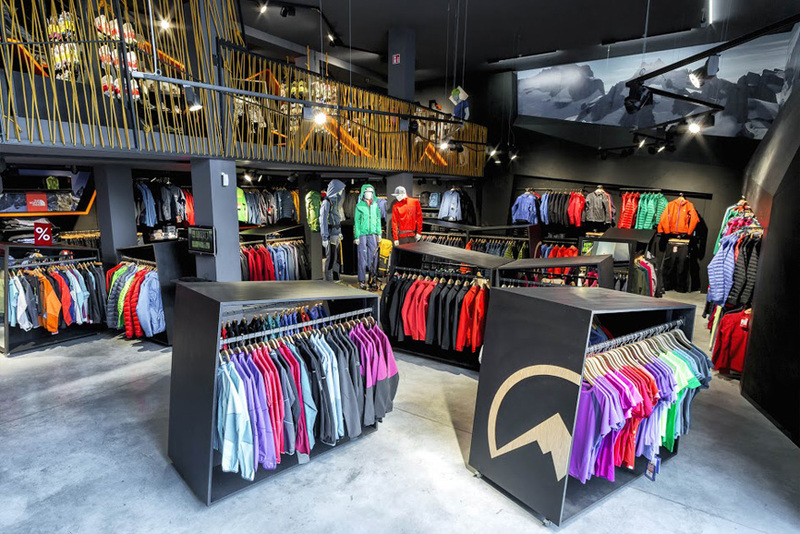 8a.pl, outside the e-store, offers brick-and-mortar sales in the company showroom in the centre of Gliwice. Creating an advanced integration with the warehousing & accounting software Subiekt GT. 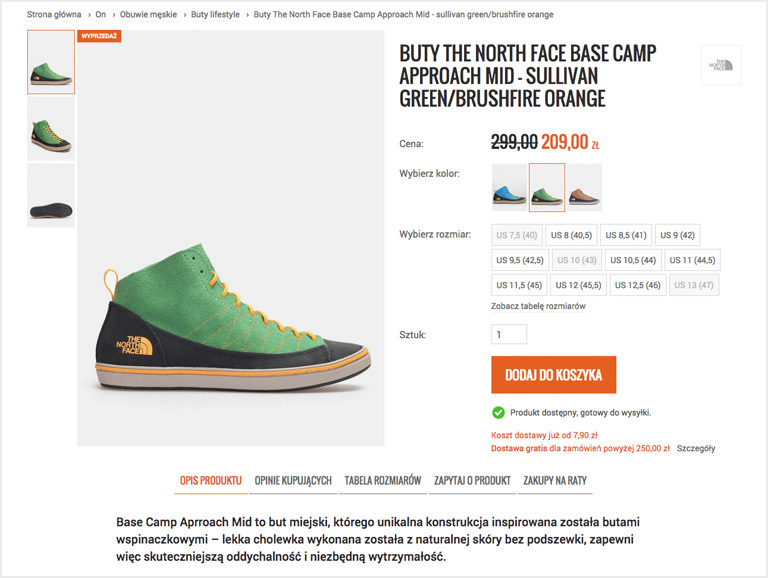 Facilitating the product search processes and creating an advanced product page. 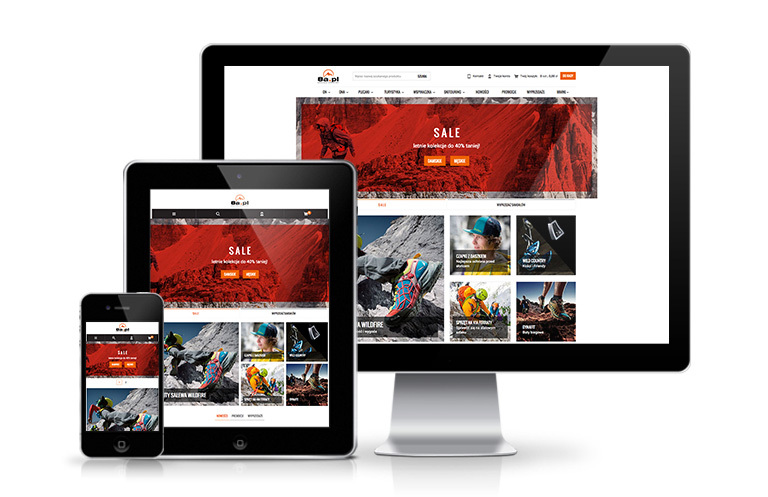 Designing the e-store in responsive web design. Adding a functionality facilitating management of goods dispatch process. 8a.pl store is a dedicated sales platform both for B2C and B2B customers. Regular and trusted B2B customers, verified previously by the store administrator, can expect discounts for products supplied by selected manufacturers whose offer they buy most frequently. The store administrator is able to create a dedicated price list based on the commercial terms and conditions and the list of manufacturers the consumer will get the discount for. What is more, the verified customers can use an open account for a couple of days. 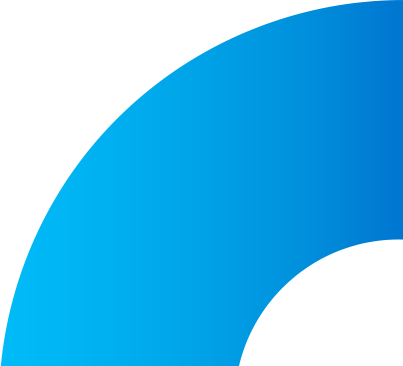 When the period of payment or the price limit is exceeded the customer cannot buy anything and is notified thereof in a special message in the wholesale customer panel. Smooth and rapid order performance improves the positive shopping experience of the customer. For 8a.pl e-store, integration with ERP Subiekt GT enables that for sure. The process of B2B customer service from the time of order placement to goods dispatch has only 4 stages. The order received online is verified via Subiekt GT with respect to the warehouse stock. The process of B2B customer service from the time of order placement to goods dispatch has only 4 stages. The order received online is verified via Subiekt GT with respect to the warehouse stock. The entire order is handled in ERP. Then, a copy of online message is created and a document with the order specification (1 page = 1 order) is generated. After the page has been created, the order is passed for packing. To avoid mistakes, the product compatibility with the order is verified by barcode scanning. In any discrepancy (red), the system blocks the order automatically. Order division takes place directly in Subiekt GT. After the order has been picked, a bill of lading is generating using the shipment manager and the parcel goes to the storage location. At the same time, the customer is notified by e-mail the order has been performed successfully. The process of B2C customer service is equally efficient. The orders are divided into prepaid and COD ones at the time of their placement. If the customer chooses the goods should be sent to the brick-and-mortar store, the order is verified in terms of availability in the main warehouse. If the products are not available, an inquiry is placed in another warehouse and then in sub-warehouses. Then the sequence of orders is determined by the warehouse stock. 8a.pl store uses a convenient functionality facilitating the order shipment process. The shipping manager enables e.g. to: create the parcels to be sent to a given forwarder automatically, communicate with forwarder’s API, collection of parcel labels, parcel weighing, automatic change of order status after the parcel has been passed for dispatch. The store uses the services of Poczta Polska (e-nadawca), Inpost (paczkomat) and GLS courier to ensure efficient handling of orders. It is also possible to collect the goods personally from the company showroom in Gliwice. Due to the specific nature of the product addressed e.g. to those doing extreme sports, one of the store advantages includes a highly detailed product page. The page contains the most important parameters and properties of the products with its detailed specification. Each product has a couple of photos (including 3D ones) reflecting the colours, features and shape of goods in detail. E-store offers also the function to match products and the purchase of the whole set is awarded with a discount. All photos placed on the website were made by the store employees. Thanks to that, when doing shopping in the e-store, the customer may feel as if s/he was vising the brick-and-mortar showroom and obtain any information required to choose the best items. Moreover, the customers can add their opinions on the products. 8a.pl store, apart from its clear graphic layout, has a fully responsive aspect adapting the contents to the device type. The responsive aspect not only makes it possible to reach the higher number of prospective customers, but also reduces the expenses related to the website maintenance. The implementation result is the responsive aspect with the advanced product page. After the eCommerce system has been transferred to i-systems software, 8a.pl gained complete control of B2C and B2B sales. What is more, all ERP software processes were automated. The company plans new solutions facilitating online sales.